Decorate your look with this Fox Mini Fur Bag Charm. 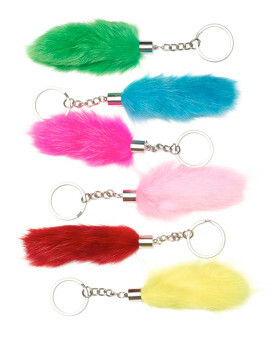 Soft and fluffy Fox Fur tail measures 5 inches, and is attached to a 2.75 inch silver metal key chain. This key chain is easily attached to a backpack, keys, handbag or a jean loop. 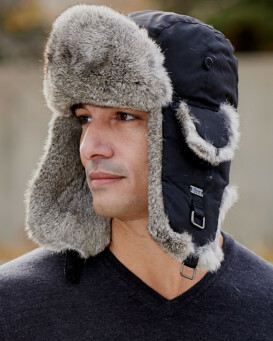 Treat yourself to this touch of fur, or gift it to a friend. Available in multiple color options. "Really cute, perfect for wallets and keys etc, soft and a real cutie. I also got a few of the other mini charms in the rabbit paw which are so cute, soft and so worth buying,oh and the pom pom charms so cute and soft also worth buying i got the black and grey both very beautiful. Will continue to order from furhatworld! Also always fast and great customer service." "My wife just loves this,and its a terrific addition to her handbags.We will be buying more." "great product,very smart,my wife loves it." "This is a perfect accessory for a handbag. I purchased this for my daughter. This is not too large and will hang nicely on any handbag, A good purchase and I am sure she will like it. 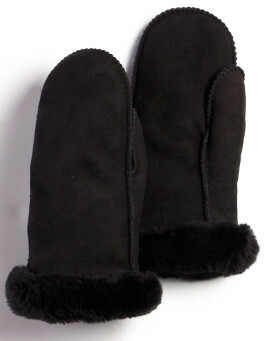 I will be purchasing more in different colors." "I love it, this is very nice." "I ordered the indigo colour but it looks dark gray in person, the colour of a mouse. I did not like it at all. It's also larger than I thought." "Have attached the black one to my purse and enjoy it everyday. Looking for a unique location for my other one that I purchased."